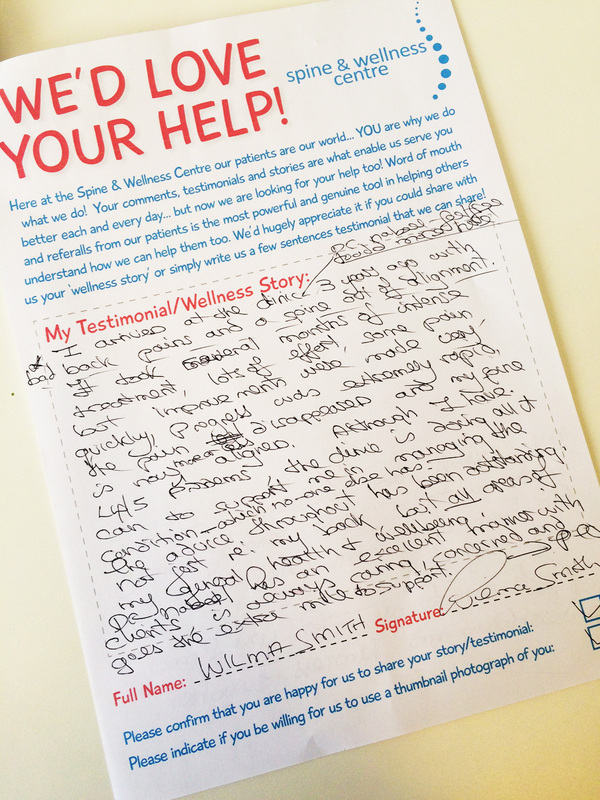 We value our patients’ experience at Nova Spine & Wellness Chiropractic Clinic. 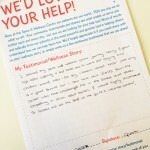 If you are currently a patient, please feel free to complete the following Client Experience Questionnaire (Chiropractor Testimonials). The Questionnaire is in Adobe Acrobat format, and requires the free Acrobat Reader to view. I went to Nova Spine & Wellness with some considerable back pain that i had been ignoring for some time. This was starting to affect my performance in my kickboxing career restricting movement and flexibility. 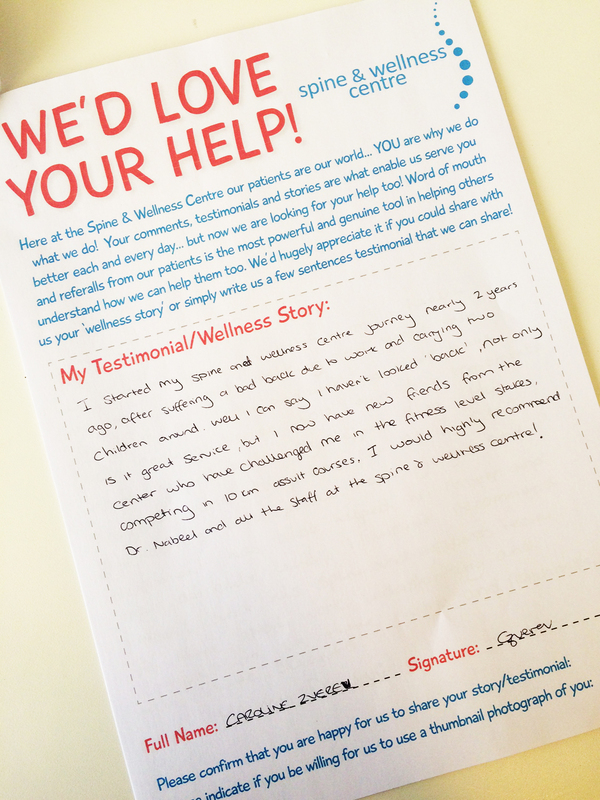 The team at Nova Spine & Wellness managed to quickly get me out of pain and have also done some amazing corrective work that has improved my range in motion & flexibility. They have all helped me in some way, mostly Nova’s corrective treatment, injury recovery & advice and the Centre’s sports therapist with very short notice sports massage & tissue work but not forgetting the rest of the team on reception who always lift your mood and are always helpful & friendly. Highly recommend the whole team!! I have been attending Nova Spine & Wellness for three months, and its one of the best things I could have done. I have had continual back pain for eighteen months which was getting worse. Thanks to Nova I am 75% improved, my posture is the best its ever been. (My friends all think I have been dieting but its just that I stand so much better.) The team at the centre are great, very professional and knowledgeable, good fun as well. If you have any problems I urge you to contact Nova Spine & Wellness and see what a difference they can make to you. We met the team in Hitchin on a health weekend, we got talking and went to visit Nova Spine & Wellness. 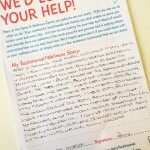 We have been coming since 2012 and the treatments have helped with my slipped disc. My daughter, who competes for GB in D.M.T gymnastics discipline, had injuries and treatment has also helped her recovery and train at an elite level. 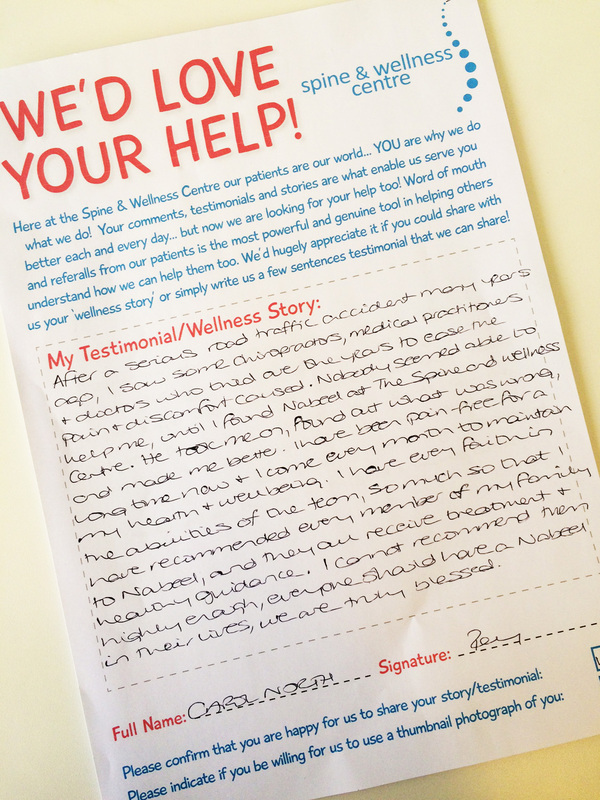 I would recommend the Spine & Wellness Team for their great work, understanding and compassion with their work and with their clients. After a serious road traffic accident many years ago, I saw some chiropractors, medical practitioners and doctors who tried over the years to ease my pain and discomfort. Nobody seems able to help me until I saw The Nova Spine & Wellness. They took me on, found out what was wrong, maybe better. I have been paying for you for long time now and I come every month on time my health. I have every faith in difficulties of the team so much so that I have recommended every member of my family television and they will receive treatment and healthy guidance. I cannot recommend them highly enough, everyone should have Nova Spine & Wellness in their lives, we are truly blessed. I started my Nova Spine & Wellness journey nearly 2 years ago, after suffering a bad back and carrying two children. Well I can say I have never looked ‘back’, not only great service, but I now have new friends from the Centre who have challenged me in the fitness level stakes, competing in 10km assault courses. I would highly recommend Nova Spine & Wellness. I arrived at the clinic three years ago with bad back pains and a spine out of alignment. It took several months of intense treatment, lots of effort, some pain but improvements were made extremely rapidly. The pain disappeared and my spine is now ore or less aligned. Although I have L 4/5 problems, the clinic is doing all it can to support me in managing my condition- which no-one else has. 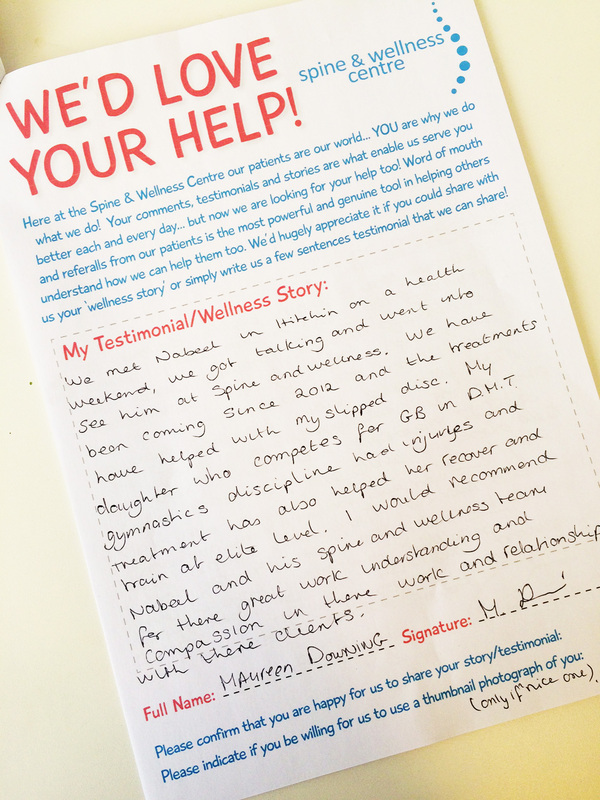 The advice throughout has been outstanding, not just regarding my back but all areas of my general health and well-being. The team at Nova Spine & Wellness have an excellent manner with clients, is always caring, concerned and goes the extra mile to support. Staff are welcoming, friendly and with a good sense of humour. The clinic is a calm place to sit, be and reflect. Thank you to all for your support, understanding and kindness throughout. As a 65+ year old tri-athlete, my body and health are important. Spinal adjustments are absolutely essential to my success. Without them, I couldn’t do what I do. Thanks to the treatment received at Nova Spine & Wellness I sprinted for the first time in over 3 months last Saturday without any major problems. If you have back problems and it is disrupting your lifestyle I highly recommend Nova Spine & Wellness. By investing your time and money, following a recovery programme, it will be a matter of time before you start enjoying the things you gave up as a result of your injury. The team at Nova Spine & Wellness are kind and helpful people you can put your trust in especially when they are extending and contorting your body. I would be happy to recommend them in their pursuit for helping individuals in a holistic manner. Andy Lowe, Director at Health Emporium Hitchin. 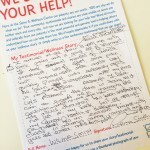 I have used the team at Nova Spine & Wellness both personally and when recommending to my clients. They are at the top of their game, help you get back to health and always go that extra mile for you. Michelle Smith, Director of The Pilates Pod Hitchin. Since being under care, the biggest difference I’ve noticed is that the pain is gone. I couldn’t walk very far or stand for very long without pain. Now I can. I also have a lot more flexibility and can move around better for doing things like gardening. It’s changed my life. I came in with low back pain and restricted movement. I’d also been in a car accident and had suffered whiplash. 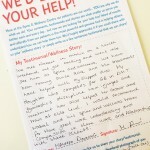 I’d tried physiotherapy and pain killers, but wasn’t seeing the improvement I wanted. I feel as though this treatment has been one of the best things I have done to improve my health and my performance in figure skating.